Sitting pretty as one of Asia’s best-kept travel secrets, the spicy, scenic island of Taiwan (tái wān 台湾) makes a habit of smashing visitor preconceptions. Outsiders tend to see it as somewhere notable only for its technological prowess, an image consistently reinforced by the global prominence of “Made in Taiwan” stickers. The fuller picture, however, is a destination that serves up awe-inspiring panoramas, a rainbow of different cultures and a startlingly rich history. Kaohsiung (gāo xióng 高雄) is the southern port city and the biggest center of industry in Taiwan. It also encompasses a number of historic sites which, whether you are interested in traditional architecture or Western buildings from the colonial era, are well worth a visit. The city is also a vital transportation hub. Shipping and commerce developed here at an early age, and quite a few sites are left from those times: city walls from the Qing Dynasty period, the old British Consulate (dǎ gǒu yīng guó lǐng shì guǎn 打狗英国领事馆), the Qihou Fortress and Lighthouse, and other relics rich in historical significance. The old British Consulate, for example, was built during the Qing Dynasty as the first official foreign consulate in Taiwan and might be called the premier Western building on the island. A part of Taiwan’s architectural history it is well worth studying. Precious historical materials, pictures, artifacts, and models from the Kaohsiung area are displayed inside the consulate building, which is also known as the Kaohsiung Historical Museum. Taipei (tái běi 台北) is Taiwan’s largest city. It is the main administrative, commercial, manufacturing, and cultural center of the island. 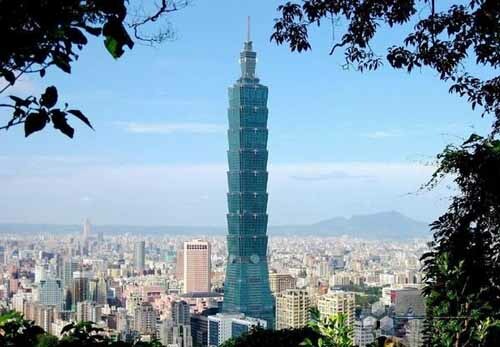 The first settlement on the present-day site of Taipei was established in the 1700s. 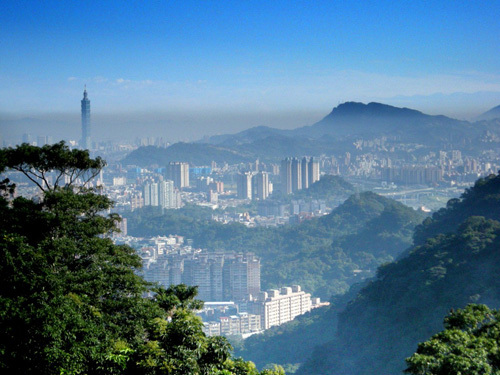 Taipei is a city of many faces, where ancient and modern co-exist. 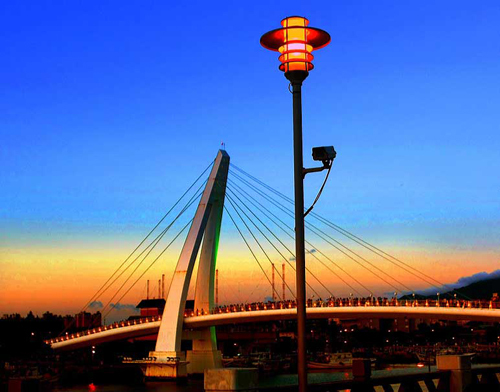 Taipei is gradually moving towards the standards of Western metropolitan cities. With rapid transit system (MRT), plenty of buses and cheap taxis, it is fast and cheap for the tourist to get around in Taipei. Popular areas include Xinyi District (xìn yì qū 信义区) with Taipei 101 (the world’s tallest building), Taipei Train Station and the Eastern District Shopping Area (from Sogo Department Store along Zhongxiao East Road (zhōng xiào dōng lù 忠孝东路) all the way to the Taipei 101 area). Tourist attractions include the world-renowned National Palace Museum, Huaxi Street (huá xī jiē 华西街), Guang Hua electronics market and so on. Located in the northwest of Taipei, with north connecting Sanchih (sān zhī 三芝), south to Guandu (guān dù 关渡), opposite to Pali (bā lǐ 八里), Tamsui (dàn shuǐ 淡水, formerly known as Danshui) is a vivid township with enriched historical background, beautiful ocean and mountain sceneries. The town was first known as “Huwei (hù wěi 沪尾)” until the occupation of the Japanese, the name Danshui was originated from Danshui River. The town has a total area of seventy point sixty-five square meters with a popular of twenty thousand including the migrants. 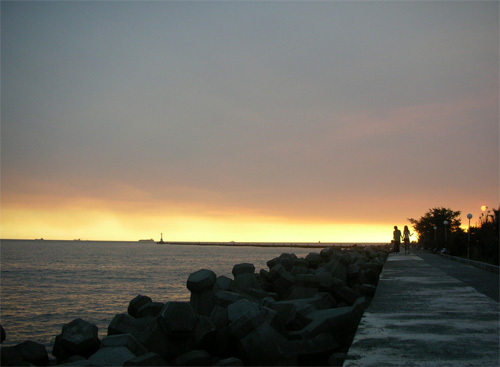 Tamsui is located in northwest of Taipei basin. Tamsui is surrounded by mountains and rivers and the scenery is beautiful. Located in Pingtung (píng dōng 屏东), a beautiful city in southern Taiwan, Kenting is a popular, enchanting holiday destination for all types of travelers. Having a tropical climate, summer in Kenting is usually hot and mild in winter, which makes Kenting a pleasant Taiwan holiday destination to visit all year round. Kenting is the paradise of leisure and fun, as well as the home to tropical forests, meadows, and seaside cliffs. 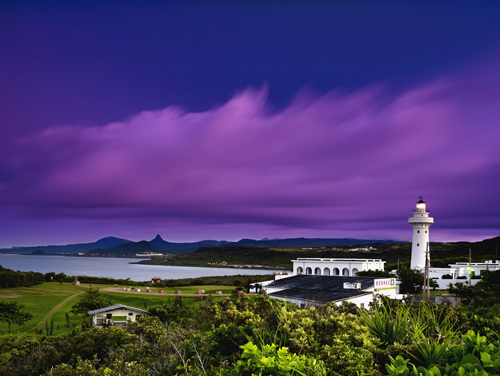 The Kenting National Park has an area more than 33 hectares covering notable Kenting attractions include Eluanbi Park (é luán bí gōng yuán 鹅銮鼻公园), Nanwan (or South Bay, nán wān 南湾), Maobitou (māo bí tóu 猫鼻头), Longluantan (lóng luán tán 龙銮潭), and many others. Discover Kenting, the wonderful Taiwan tourist destination that enthralls travelers of all ages.